Motorola is in the mobile market for long time and one of the reputed mobile manufacturers. Recently they released the Moto G6 Plus in the market. Now, most of the Moto fans are waiting for this phone form long time and many of them already bought this device. So here we are again with a new How-To guide to Root Moto G6 Plus. The Moto G6 Plus has powered with new Qualcomm Snapdragon 630 SoC that houses a 1.9GHz processor, 5.9 inches 1080 x 2160 pixels Full HD+ IPS Corning Gorilla Glass – Splash resistant, 64GB + 4GB Ram – microSD, up to 256 GB, 3,200 mAh battery with TurboCharging support. The dual-SIM handset will also support 4G VoLTE networks. Now the unofficial TWRP is available for the Moto G6 Plus, so we can Root Moto G6 Plus with the help of Magisk manager. Here in this guide, we are showing you the two ways to get the root access on the Moto G6 Plus. Once the phone is rooted you can install custom ROMs, Xposed modules, and other system tweaks. But to root any phone you need to unlock the bootloader of the phone. Here is the guide to unlock the bootloader of Motorola phones. First, follow the unlocking guide and after that follow the below-mentioned steps to root the Moto G6 Plus. 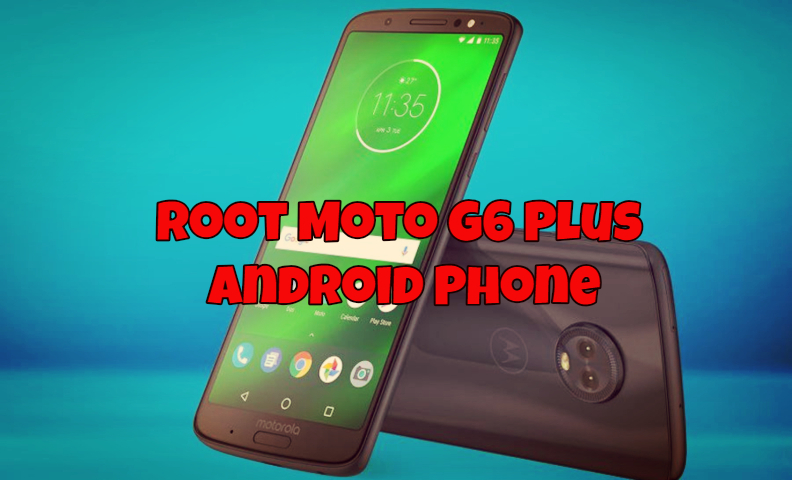 Below are the working instructions to Root Moto G6 Plus Android Phone. Here we are posting two ways to root the phone. In the first, we are going to install TWRP. And in the second you have to flash Magisk patched boot image to get the root access and flash Magisk zip file. The process is a little bit longer but one of the best way to root the phone. So read all the steps very carefully and follow all of them one by one on your phone. 2. 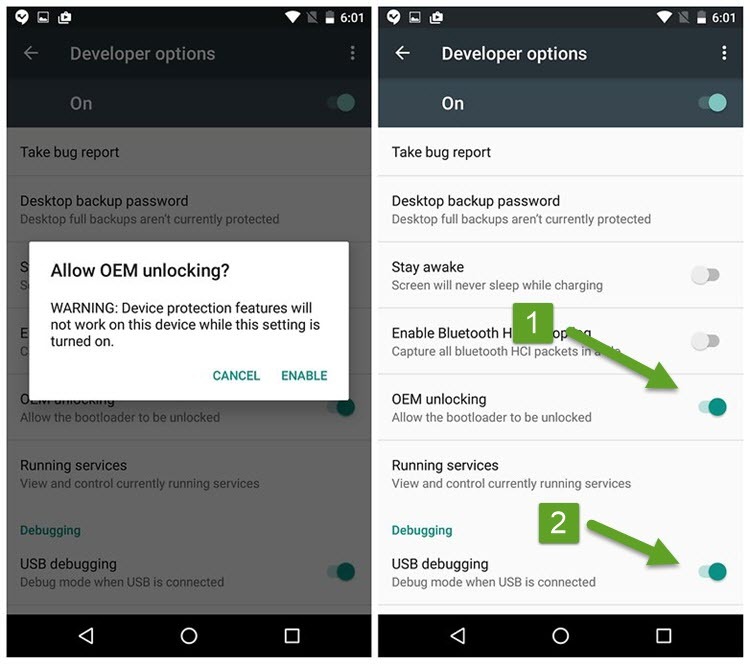 Enable USB debugging on your Huawei Android device. To do this go to your Settings -> About -> Software Information -> More -> Now Tap on the Build Number 7-8 Times until you see a toast message “Developer option enabled”. One of the most important part to root the phone. Unlocking bootloader of the phone is not a difficult task all you have to visit the Motorola site and apply for the Unlocking the permission and you can easily unlock your phone. Here is the full guide to Unlock Bootloader of Moto phones. This method is a little bit complicated and taker some time to read all the instructions and then proceed. And do take the full backup of your phone. 1. Insert SD-Card on the phone, and check it works fine or not. If its working firn fine then checks the next step. 2. Download the ADB and USB Driver on your Windows PC from here. This will create an Platform Tools folder on your desktop. 3. Download the TWRP recovery file for Moto G6 Plus from here. And save the file in the Platform Tools folder. 4. Download the logo.bin file to remove “Unlocked Bootloader” message from here. Unzip the ZIP file and save the file Platform-Tools folder. 5. Download and save the patched_boot.img file to the Platform Tools folder. 6. Connect your Moto G6 Plus to the PC with a USB cable. 7. Open a command prompt window inside the Platform Tools folder folder: Holding Shift key + Right Click > Select Open Command Window here. 9. Now your phone in fastboot mode. Now you need to boot your phone in TWRP. No need to flash the TWRP. 10. Once your phone boot in TWRP mode. When the TWRP boots –> READ-ONLY mode! Inside “Mount” select “Micro SD card” and push button “Disable MTP”. Open ADB shell. 12. Power off your phone. Extract the SD-Card and secure copy your boot and logo backup in some safe place. 14. Make sure you have the logo.bin and patched_boot.img files in the platform tools or ADB folder on the PC that is the location of the command window. 15. Now one by one run these commands to flash these two files on your phone. 17. Now visit this magisk manager page and install Magisk.apk (Not the zip file). Apk file on your phone. 18. Upgrade to lasted Magisk Beta. Inside the Magisk Manager “Settings”, change “Update Channel” to “Beta”. 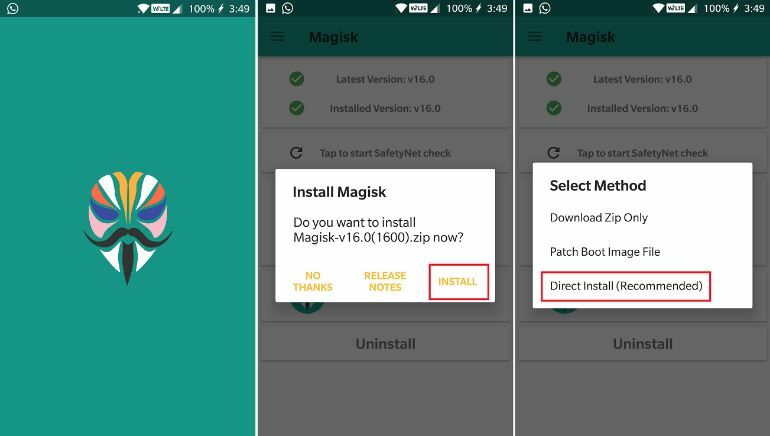 Then in the Main Magisk select “install” and “Install” the last version (v16.4) with “Direct Install”. And Reboot. That’s it. Now your Moto G6 Plus is rooted. 1. Download the ADB and USB Driver on your Windows PC from here. This will create an Platform Tools folder on your desktop. 2. Download and save the patched_boot.img file to the Platform Tools folder. 3. Open a command prompt window inside the Platform Tools folder folder: Holding Shift key + Right Click > Select Open Command Window here. 4. Connect your phone to the PC with USB cable. 7. Now visit this magisk manager page and install Magisk.apk (Not the zip file). Apk file on your phone. Congratulations! You’ve successfully rooted your Motorola Moto G6 Plus. If you are facing some trouble with this guide them leave the comments below and we will help you to fix it up. Wow! It’s too easy to Root Moto G6 Plus Phone. I couldn’t believe that it’ll be able to do it but you’r methods are so unique. Thank you for the guide! I am trying to root my Moto G6+ but the file to download TWRP recovery file for Moto G6 Plus is missing. Also, how to update the firmware from OPW27.113-25 (March) to April -45? The device checks for the update but keeps returning ‘your device is up to date’ message? Thanks for the detailed explanation. I have one question though, I want to install a generic 9.0 Pie GSI Rom on my device (since it passes the Treble check) and, to do so, I need an unlocked bootloader (already done that) and have twrp installed (I really don´t need root). The two methods presented in this article are meant to get root access, with the second being the one which uses twrp to do it. Do this method leaves twrp permanently installed on the phone? Or do you just boot into twrp via fastboot to get root access but never install twrp permanently?. Thanks a lot for the input.